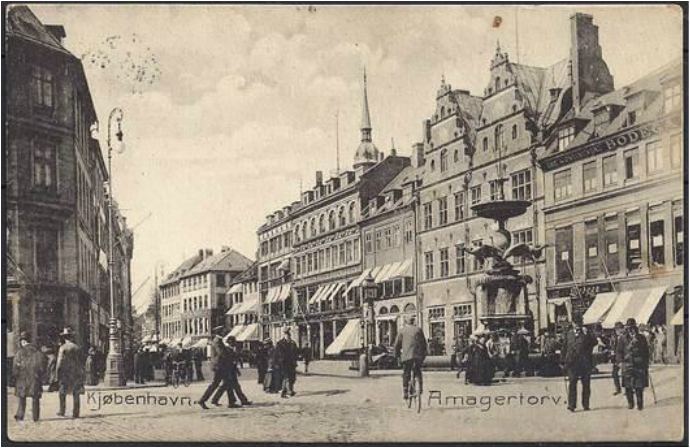 Fyldepenne Magasinet was located at Amagertorv 16 along the Stroget in downtown Copenhagen. The store is located in the far right side of the street just past the white awnings in the photograph. ​The Penol factory was located on Emdrupvej, approximately 7 km northwest of downtown Copenhagen. 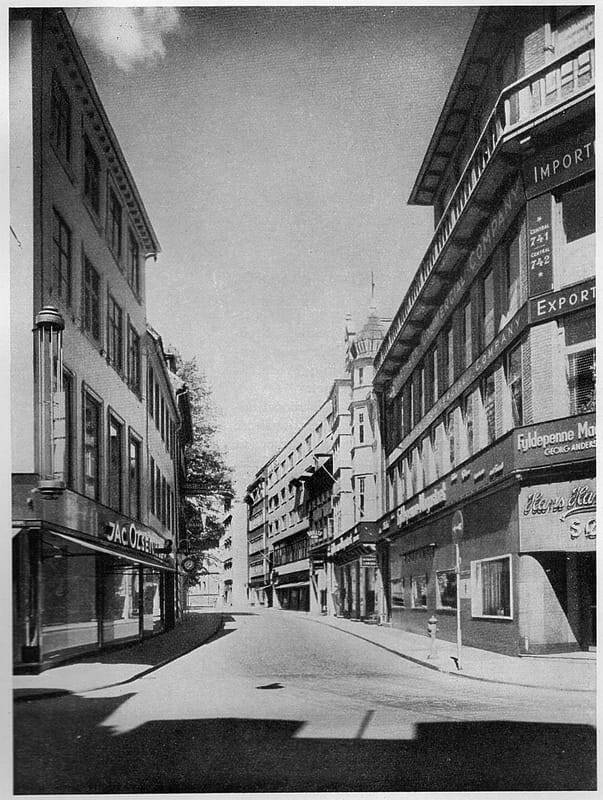 Fyldepenne Magasinet, Georg Andersen, Amagertorv 16, circa 1948. 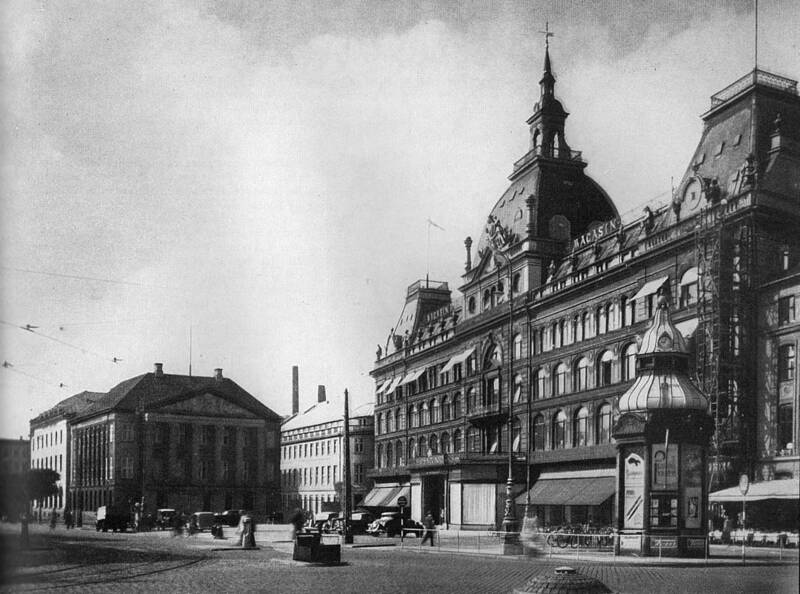 Fyldepenne Magasinet was one of the largest pen stores in Copenhagen, and managed by Georg Andersen, the agent. This store was the exclusive retailer of the Skribent sub-brand of Penol pens. 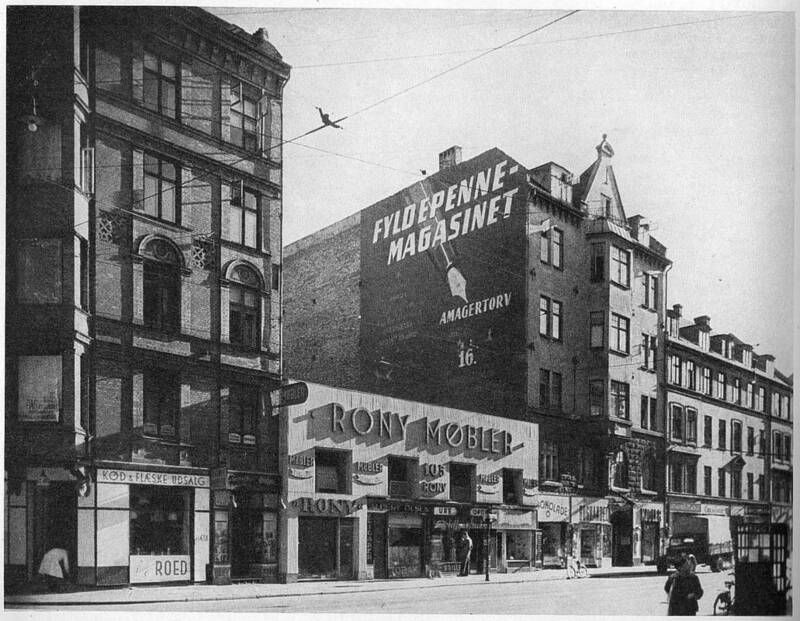 Advertisement on Vesterbrogade building for Fyldepenne Magasinet, circa, 1949. Magasin Du Nord Department Store, circa, 1948. Magasin du Nord is a large department store in Copenhagen. Wessel and Vett would mark their pens with a VW imprint so that they could be brought back for repair if necessary. Notice the advertisement for a PENOL pen and pencil set on the kiosk in front of the store (right side of the picture)! Advertisement from Klods-Hans magazine from December 1915. Early pen advertisement from Danish magazine. N. Olaf Moller would become an exclusive agent of Montblancs in Denmark in 1921.